Please click on the PDF Link for the FULL SCHEDULE of the Kala Ghoda Arts Festival 2014. All 2014 Kala Ghoda Festival events with their timing and venue are listed. Please click on the below links for the Day-wise Schedule of Events at Kala Ghoda Arts Festival, 2014. Link to ==>> All Events on 1 February, 2014 at the Kala Ghoda Arts Festival. Link to ==>> All Events on 2 February, 2014 at the Kala Ghoda Arts Festival. Link to ==>> Program of Events on 3 February, 2014 at the Kala Ghoda Festival. Link to ==>> Schedule of Events on 4 February, 2014 at the Kala Ghoda Festival. Link to ==>> Event Schedule on 5 February, 2014 at the Kala Ghoda Art Festival. Link to ==>> Full Schedule on 6 February, 2014 at the Kala Ghoda Arts Festival. Link to ==>> Program of Events on 7 February, 2014 at the KalaGhoda Festival. Link to ==>> All Events on 8 February, 2014 at the Kala Ghoda Art Festival. Link to ==>> All Events on 9 February, 2014 at the Kala Ghoda Arts Festival. NOTE: Some “THEATRE” entries in the Daily Schedules are incorrect. Please refer to the Kala Ghoda Arts Festival 2014 – Full Schedule for correct Theatre listing. Apologies for the inconvenience. NOTE: Since Kala Ghoda area is a “Silence Zone”, the organisers gave the Mumbai High Court an undertaking that no Dance and Music events will be held at the main Kala Ghoda Festival venue of “Rampart Row” (K Dubashh Marg). This has an impact on the “Street Events” at Rampart Row. Mumbai’s Kala Ghoda Arts Festival 2014 (KGAF) is the second largest Arts Festival in the world. The 9 day KalaGhoda Festival has over 400 events in 11 categories. Entry to all events at Kala Ghoda Art Festival is free. The 2014 KalaGhoda Festival has over 470 events and 72 Visual Art Installations. 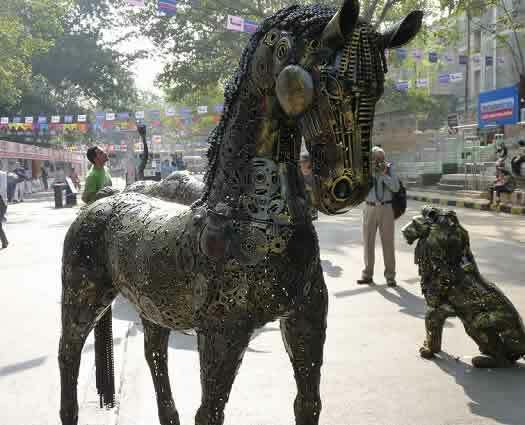 It is the biggest Kala Ghoda Arts Festival ever. 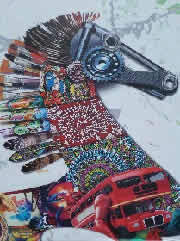 In addition there are stalls at Kala Ghoda Festival which display and sell Art and Craft goods. NGOs too put up stalls at the Arts Festival. Information and applications form for stalls at KalaGhoda Arts Festival 2014 is available at the Kala Ghoda Association website. The Kala Ghoda Festival is centered at K Dubash Marg (Kala Ghoda). 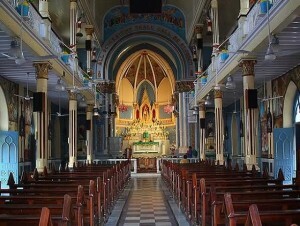 As the festival has grown, it has spread out to places around it. Map shows the key places where the Kala Ghoda Art Festival 2014 is held. Kala Ghoda is at a distance of 1.5 Kms from Churchgate Station (Western Railway) and CST/VT Station (Central Railway). To get to Kalaghoda, one can either walk from the Mumbai Local Train Stations of Churchgate and CST or take a bus to either Kala Ghoda or Fort or Regal. Entry to all events at Kala Ghoda Art Festival is FREE. 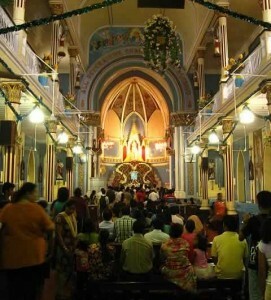 This link has useful tips for visitors to the Kala Ghoda Festival. The Kala Ghoda Association is the organizer of the Kala Ghoda Arts Festival (KGAF). In addition to the KGAF, the association is involved in improving the physical infrastructure in Kala Ghoda and in showcasing the art galleries and cultural organizations in this precinct.